The sudden death of John Nash and his wife Alicia has shocked and saddened the world. Nash was the subject of the 2001 Academy Award-winning film A Beautiful Mind, which chronicled the Nobel Laureate's mental health issues early in his academic career as well as his triumphs in game theory. 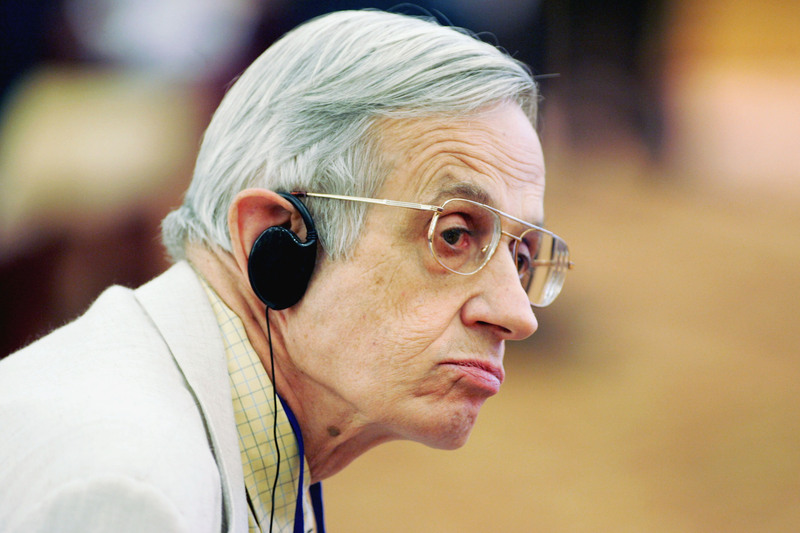 It is the "Nash equilibrium" which resulted in his winning of the Nobel Prize in Economics. Along with his wife Alicia, the two were staunch mental health advocates, arguing in favor of continued funding to community programs in their native New Jersey that benefit those with mental health issues working towards independence thanks to the support of organizations like Catholic Charities. Prominent figures from across the globe took to Twitter to mourn the loss of Nash. Indian Prime Minister Narendra Modi called him "an intellectual powerhouse with a long lasting contribution to mathematics," while Italian economist Giampaolo Galli likened the beauty of Nash's work to art itself. Nash's widespread influence and ongoing work in economics and math was recognized shortly before his death by receiving Norway's Abel Prize May 19 along with mathematician Louis Nirenberg "for striking and seminal contributions to the theory of nonlinear partial differential equations and its applications to geometric analysis." Those touched by Nash's work include Columbia University Economics Professor Xavier Sala-i-Martin as well as Greek Economics Professor Yanis Varoufakis. Likewise, those involved in the filming of A Beautiful Mind including director Ron Howard and Russell Crowe, who portrayed Nash on the big screen, have given their condolences via Twitter. Even the Reverend Jesse Jackson gave his condolences to Nash's family. Nash continued to dazzle to the very end, emailing New York Times sports reporter Ben Cohen the type of brilliant letter only he could have crafted. Cohen had questions about the way game theory factored into the brackets for the NCAA college basketball tournament (aka March Madness). Seeing that it was highly likely that game theory could play a role in effective predictions and that Nash's alma mater and place of employment, Princeton, was improbably great on the basketball court, Cohen decided to email Nash a few questions. Nash's response pointed to the predictability of financial games versus that of basketball. It turns out Nash had never filled out a March Madness bracket and didn't seem interested in pressing his luck with that. As Cohen concludes: "It showed that Nash really was smarter than all of us: He was brilliant enough that he knew not to try to predict the NCAA tournament."